Home » Join our real-time communication and webRTC meetup! Join our real-time communication and webRTC meetup! First of all, we would like to wish all of you tech innovators and API lovers a very happy new year! 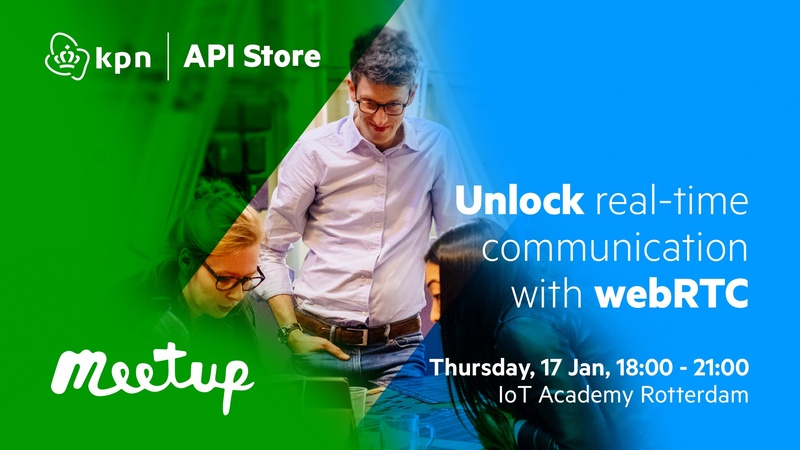 In a week from now, it will be time for the KPN API Store meetup at the KPN IoT Academy. Come and meet our developers to discuss your latest thoughts and ideas about digital communication or learn what webRTC is. What are the latest developments? What can you do with communication APIs and is that easy to execute? Join this KPN API Store's meetup and discuss the ins-and-outs of programmable communication. APIdaze.io: will present the Apidaze 'showroom', a collection of apps that concentrates various cases of webRTC technology. Apidaze will also demo their webRTC Voice solution. KPN API Store: Pranav Srivastava, developer, will demo a cool voice use case that KPN implemented at a big blue Dutch airline. Seats are limited so be quick to reserve! We look forward to meeting you there and kick-start 2019 with great people, great ideas and pizza.